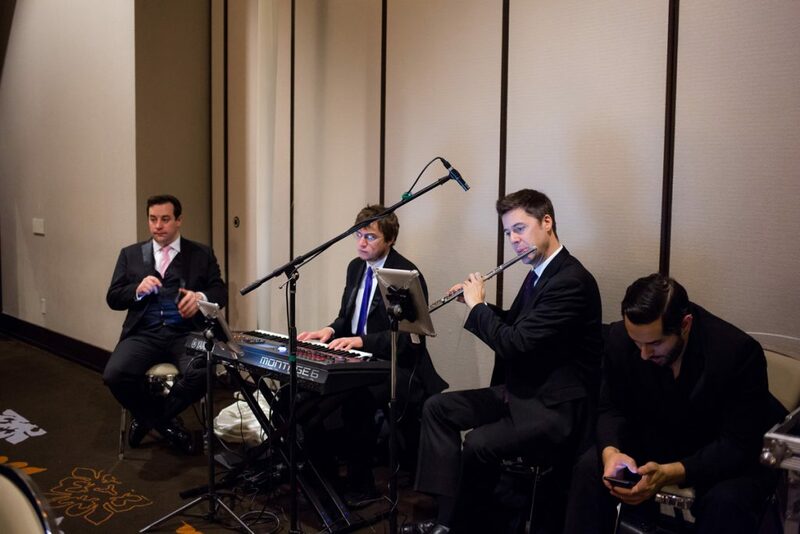 Live music is the heartbeat of any party – it sets the rhythm of the evening and the flow of conversation, creates memories out of great songs, and jump-starts the celebration with ecstatic dancing. 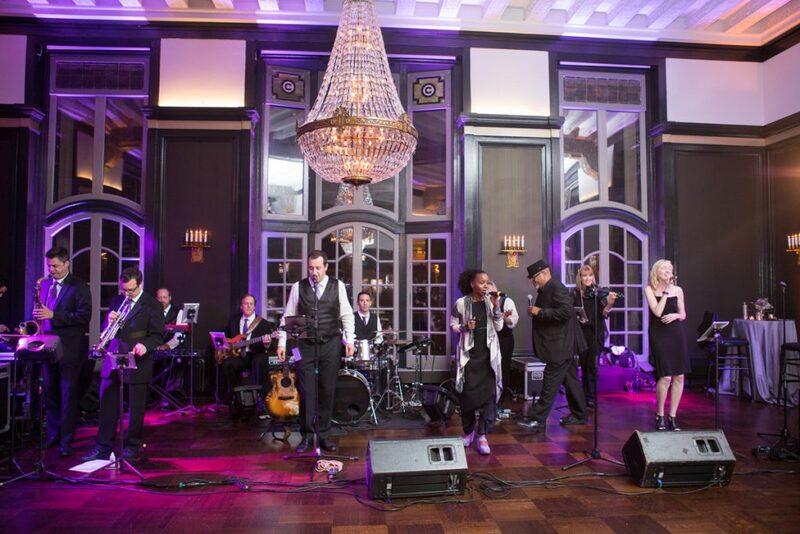 Playing all types of events, the Party Faithful features three versatile and dynamic vocalists and is propelled by two sizzling horns, an unstoppable rhythm section made up of guitar, keys, bass, and drums, and a distinctive electric violin. Together, this all-star ensemble rides a tidal wave of rock and rhythm, creates a dazzling stage show in the process, and entices each audience with a musical energy unique to our productions. 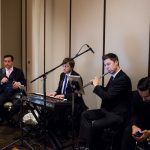 Customization is a cornerstone of every Party Faithful performance, as they work closely with each client to create a unique song list and performance concept that results in a one-of-a-kind show that keeps the dance floor full. 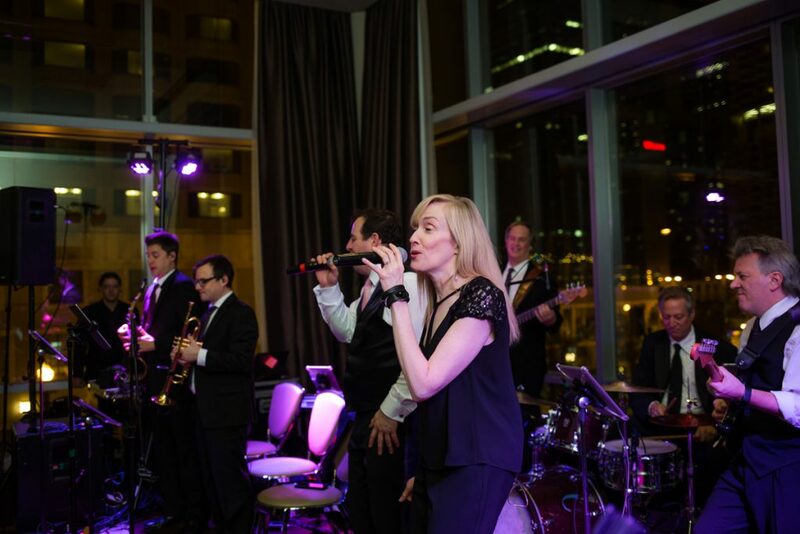 Meleesa is a Chicago native whose love and appreciation of music began at an early age, continued in her studies at DePaul University School of Music, and has led to a career that has crossed musical genres and taken her around the country. 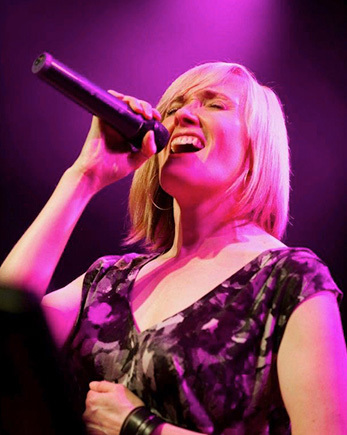 A vocalist who has performed classical, jazz, rock, pop, reggae and more, Meleesa’s influences range from Ella Fitzgerald and Stevie Wonder to Sarah McLachlan and Annie Lennox. Among the highlights of her career is sharing the stage with Patti LaBelle and the Pointer Sisters, and recently singing background vocals for R&B artist Seal on a live taping of Soundstage. Meleesa is a founding member of The Party Faithful, and her voice is part of the fabric of the band. 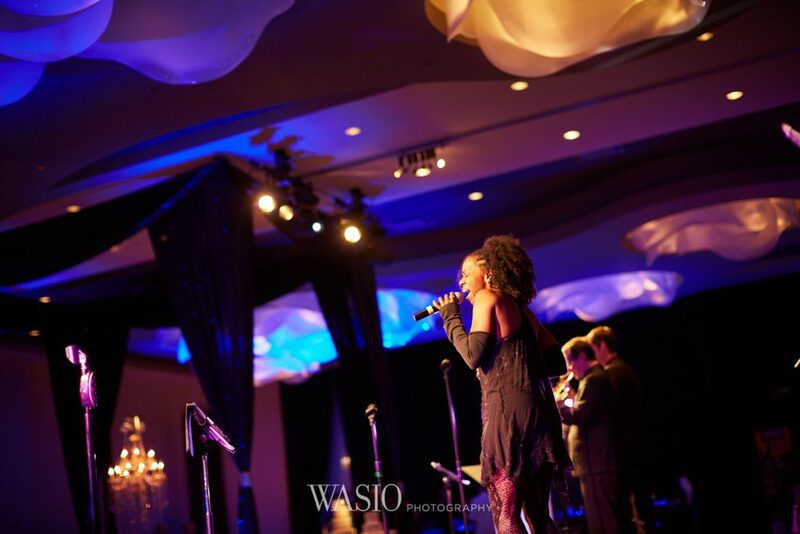 Born in Milwaukee, WI, Ameerah started singing publicly at the age of 10. Her outsized talent as both a lead and a background singer brought her nationwide recognition, and led to world tours with Alexander O’Neal, Sheena Easton, Janet Jackson (Janet Tour), and multiple stints with Paula Abdul (Club MTV, Forever Your Girl, Under My Spell). 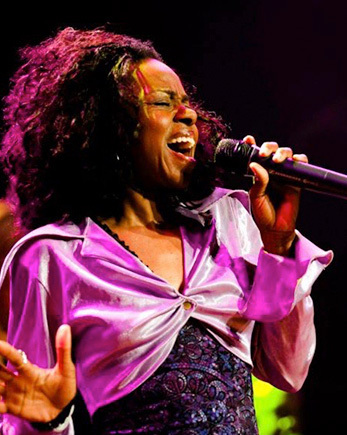 She also worked with The Brand New Heavies, eventually stepping in when lead vocalist N’Dea Davenport left the tour. After giving birth to her first child, Ameerah returned to the Midwest where she quickly became a valued and sought-after member of the Chicago and Milwaukee music community for original projects, special events and large festivals. 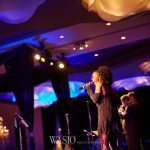 Ameerah recently shared the stage with icon Stevie Wonder, and brings that powerful stage presence to every Party Faithful performance. 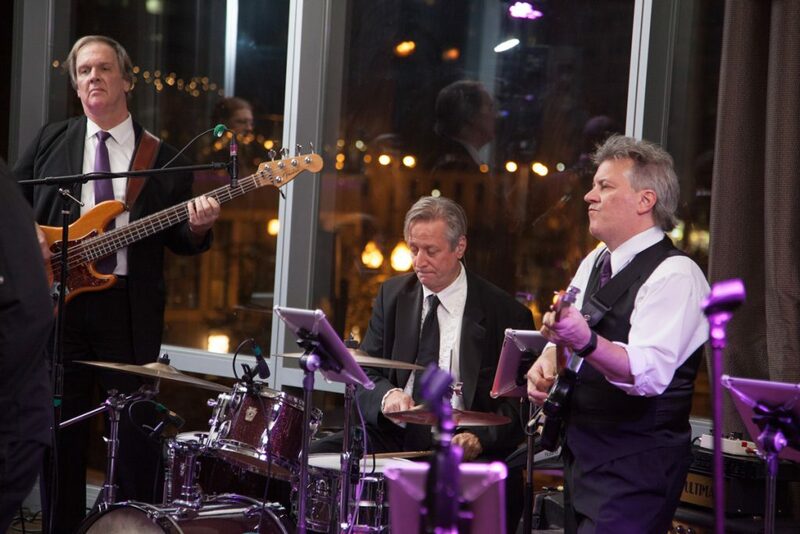 A musician well-versed in Folk, Balkan, Jazz, Blues, and Rock styles, Pat has showcased his artistic range as a member of two of Chicago’s most avant garde bands, D-Section and The Balkan Rhythm Band. Pat also toured the country with The Fareed Haque Quartet, an ensemble that opened for Sting at Switzerland’s famous Montreaux Jazz Festival. As lead guitarist for original rock band, Mother Root, he opened for rock luminaries Deep Purple, Blue Oyster Cult, and Creedence Clearwater Revisited. He was one of four musicians performing for “The Ghost Brothers of Darkland County,” a musical written by Stephen King and John Mellencamp. 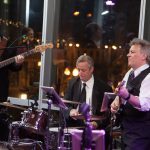 Pat currently performs and records with Howard Levy’s Acoustic Express Quartet. Pat is also an in demand producer and composer. Chicago’s most in-demand and versatile keyboardists. 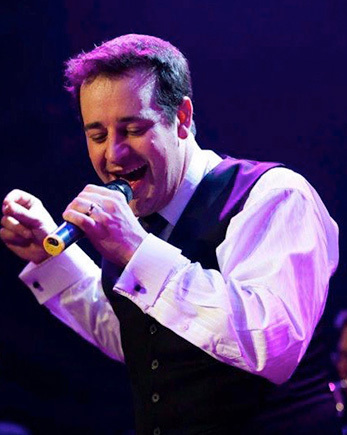 Matt has performed and toured in blues and jazz bands, original rock bands, and high-end wedding and corporate bands and has accompanied and arranged for comedians, choirs, big bands, singers, and hip-hop artists, both live and in the studio Matt also spent several years collaborating and touring with Grammy-nominated singer/songwriter, Matthew Santos and hip-hop artist, Lupe Fiasco, and has made appearances on many national TV shows, including Late Night with David Letterman, the Colbert Report, and the Ellen DeGeneres Show. 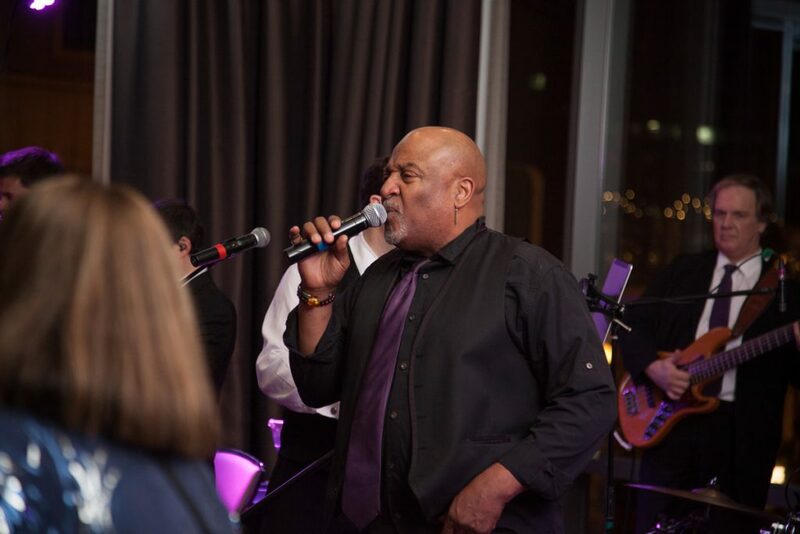 Over the years, Matt has had the pleasure of sharing the stage with the likes of John Legend, Erykah Badu, Journey’s Steve Augeri, (Jefferson) Starship’s Mickey Thomas, and Fran and Anton Cosmo (formerly of Boston), among many others. He is the also the Music Director for The Party Faithful. 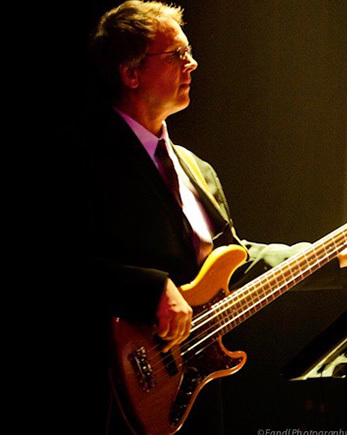 An eclectic modern bassist who spent his formative years in Colorado playing violin, guitar, piano, and basses, Geoffrey relocated to Chicago to work with a wider variety of players and composers. 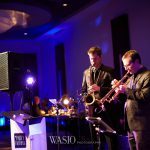 Since then, he has toured Europe with both jazz and classical groups, has performed with artists that range from Monty Alexander and David Fathead Newman to Clark Terry and Clarence Gatemouth Brown, and has appeared on recordings alongside David Sanborn, Fareed Haque, and Paul Wertico, just to name a few. 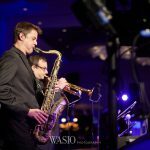 Some of Geoff’s musical highlights include performances at the Chicago Jazz Festival, the Montreaux Jazz Festival, the Park Tower Blues Festival in Japan, and the Spoletto Music Festival in Italy. 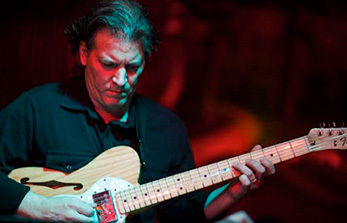 Scott Burns has been a fixture on the Chicago jazz scene since his arrival in 1998. 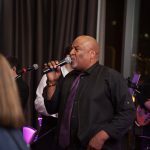 He has performed extensively in Chicago and beyond with the likes of Kurt Elling, Tony Bennett, Lady Gaga, Harry Connick Jr., Anne-Hampton Calloway, Lou Rawls, the Chicago Symphony Orchestra, the Chicago Jazz Orchestra, Ahmad Jamal, Clark Terry and many other internationally known jazz artists. His latest CD of original compositions for Origin Records, Passages, has received national critical acclaim. 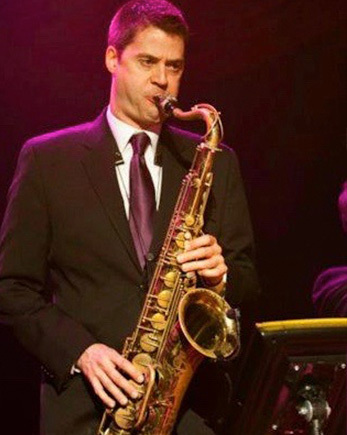 In addition to performing, Scott is an in-demand music educator, serving on the music faculties of DePaul University, Loyola University Chicago, North Park University, Columbia College, and is currently the Assistant Program Director and faculty saxophonist at Birch Creek Music Academy’s summer jazz program. 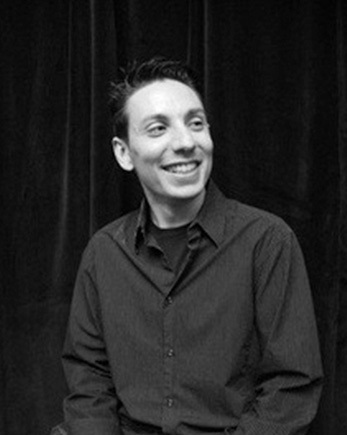 Scott has also been a performer and clinician at several universities and high schools in Chicago and the Midwest. 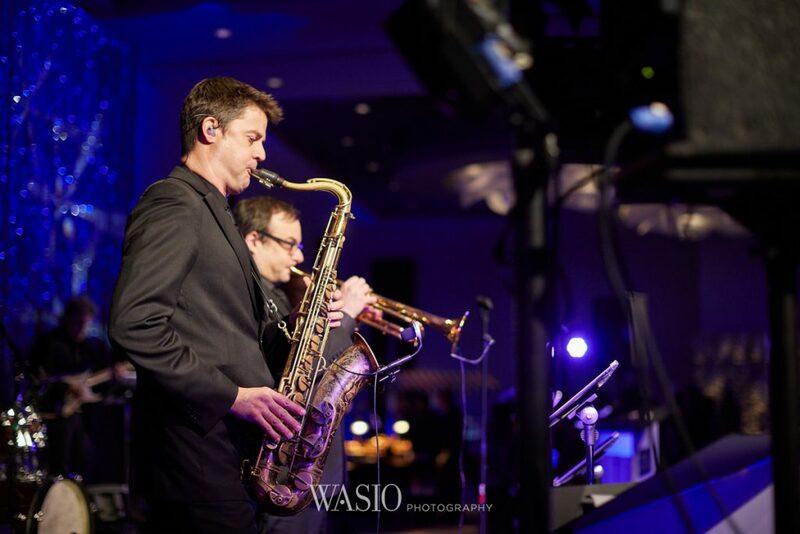 Brian’s performance career began at a young age leading him to attend the nationally recognized College-Conservatory of Music at the University of Cincinnati. 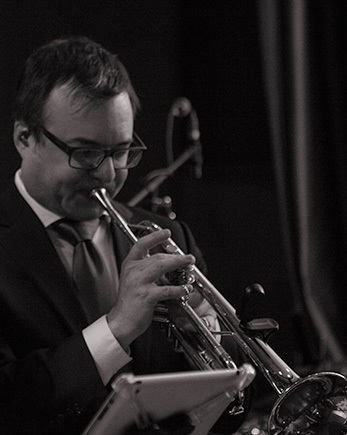 While attending the Conservatory, Brian’s strength as a trumpeter led him to be in demand on the local scene, as well as offering him the opportunity to perform with many national acts including The Temptations, Frankie Valli, The Drifters, Herman’s Hermits, Patti Page, and more. Upon moving to Chicago, Brian found many new opportunities to perform, including touring with Don Henley of the Eagles and performing in Chicago Broadway shows with Nathan Lane and Matthew Broderick in Mel Brooks’ “The Producers,” as well as Deborah Gibson and Eartha Kitt in “Cinderella.” Brian has also shared the screen with Angela Bassett, Jennifer Hudson, and John Cusack in Spike Lee’s theatrical release “Chi-Raq.” In addition, Brian shared his talents and recording studio with Spike Lee while engineering the soundtrack for the movie “Chi-Raq.” You can find Brian performing all styles of music from jazz to rock to gospel in the numerous Chicagoland local clubs and hot spots. 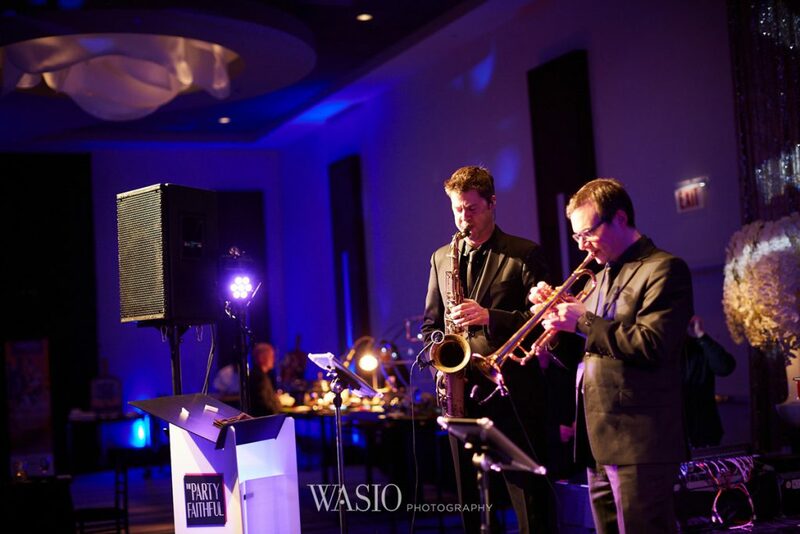 Brian’s acuity for music, not only embraces performing live, but also encompasses recording music and the visual arts. He owns and operates a successful production studio, which offers him many opportunities to work with local, national, and international artists. The connections Brian has made performing, recording, and working with people has been a blessing. He believes there is a tangible joy in sharing music with others. A fixture in the Chicago music scene for over a decade, Colby Beserra’s broad experience in both music and theater has ranged from performance, production, and composition to direction and education. Colby has performed with country singer Faith Hill, had an original song featured in the movie The Guardian (starring Kevin Costner), and has worked as a Music Director for WBEZ’s “Under Cover” series on Chicago Public Radio. 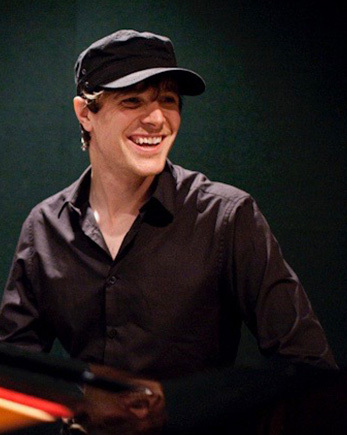 A graduate of Northwestern University’s theater school, Colby has acted as music director, actor, and composer for various Chicago theater productions. Colby provides band leadership, vocals, and guitar for the Party Faithful and brings his passion for performance to the stage with every event. 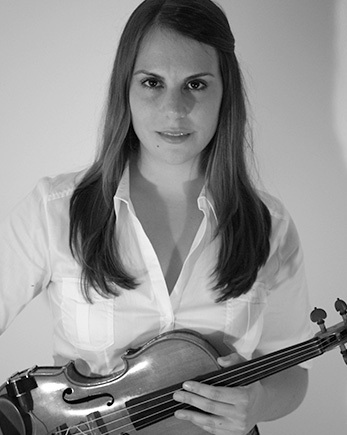 Violinist Katherine Andrick has strong roots in classical music, but fell in love with improvisation during her time at Elmhurst College, just outside of Chicago. There, Katherine was fortunate enough to study under former Cirque du Soleil violinist Edgar Gabriel, prominent Chicago guitarist Frank Portolese, and renowned jazz arranger, Doug Beach. 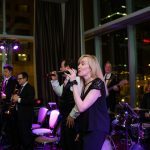 Katherine has now performed internationally, as well as all over the United States in a variety of styles, including country, zydeco, blues, rock, jazz, classical, and fusion. She has played on The Steve Harvey Show as well as The TLC Show, Four Weddings, for featured Chicago weddings and proposals. Though she has performed with many talented artists, a highlight for her was the opportunity to open for country music star, Brad Paisley. Currently, she is very excited to be playing in the Matt Jones Orchestra (Spike Lee’s Chi-raq, BJ The Chicago Kid.) Along with recording studio and commercial work, she is also an active educator, frequently working as a clinician, guest artist, and adjudicator. Katherine loves combining her diverse musical background with The Party Faithful where she can play music that everyone enjoys.